On Friday 19 April we kick off our first PechaKucha night at Fresh Fridays. PechaKucha is a style of presentation where 20 slides are shown for 20 seconds each. We are inviting the people of Birmingham into our Fresh Fridays evening to do a PechaKucha presentation on something they’re passionate about. 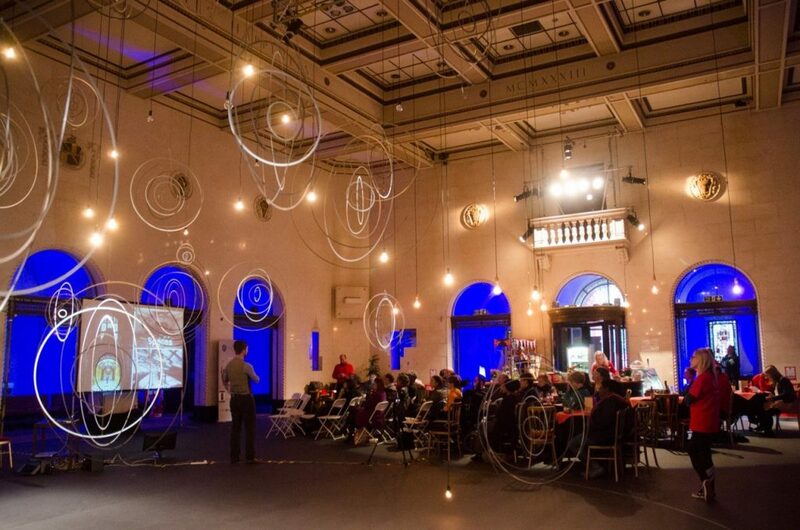 We spoke to Ben Waddington, the city organiser for PechaKucha to tell us more. Ben Waddington – I’m the city organiser for PechaKucha Birmingham. When I’m not doing that, I’m the director of Still Walking – an annual programme of guided tours and walking events. How would you describe PechaKucha? It’s a snappy presentation format that brings presenters quickly to the point. Presenters choose twenty slides and have twenty seconds to talk about each. Editing is a lost art in our work and lives and PechaKucha is a good exercise in thinking about the essentials of a topic. It’s an idea developed by an architects’ practice in Tokyo: Klein Dytham. Originally a time-saving strategy for their business, the architects realised the format could be entertaining too. You can attend as an audience member, as a presenter or you may like to work with PechaKucha on a future event for your organisation. The next PechaKucha event is a Fresh Fridays on 19 April in the Hippodrome foyer. The fun of PechaKucha is not knowing what exactly to expect! We’ve been surprised by themes delivered in song, as comic monologues and as thoughtful personal reflections on a topic. People often don’t choose the most obvious approach or subject – maybe they even surprise themselves. This website tells you where future PechaKucha Nights will be held in Birmingham and PK’s main website will tell you about events in 900 cities across the world. Come along to Fresh Fridays for FREE every Friday between 6pm and 7pm in our foyer, find out more about Fresh Fridays here.